The Ad Hoc Committee on the intervention at the North West provincial government was briefed by the National Treasury, the Auditor General (AG), and the province on its fiscal position, governance and financial management. The province had been placed under administration by the Cabinet, and was now being monitored by an inter-ministerial task team. The Committee underscored the importance of North West adopting an action plan to address the findings of the Auditor-General (AG), to assist the province in its turnaround strategy, but was dismayed at the manner in which public finances had been handled in the province. Members expressed displeasure at the manner in which the Office of the Premier had centralised services that should have been performed by the provincial Department of Local Government, and other provincial departments. This had resulted in the Office of the Premier being an implementing agent instead of conducting monitoring and evaluation over the Provincial Government. The National Treasury said the Office of the Premier had suffered pervasive irrational executive decisions and poor financial decisions as far back as the 2014/15 financial year. Among governance decisions that were questioned was the fact that the North West Parks and the Tourism Board had been shifted to the Office of the Premier in 2014/15. It listed the failure to provide oversight and leadership in service delivery and the intimidation of provincial departments as challenges affecting the province. It highlighted major instances of irregular expenditure and under-spending. In its view, the provincial government's greatest weakness was not a lack of funding, but poor supply chain management. The problem lay with decisions taken under the political leadership of the former premier, Mr Supra Mahumapelo, as well as a lack of skills, mismanagement, the rapid turnover of heads of departments, and the sometimes deliberate flouting of the rules meant to ensure public funds were spent for the public good. The warning signs of the financial crisis in the Province had been there, but no action had been taken. The Auditor General acknowledged that some of the non-compliance with spending prescripts was due to incorrect interpretation of laws and regulations, but this was not generally the case. In most instances, it was found that it was essentially a deliberate disregard of compliance to laws that required to be attended to, particularly in the supply chain area. As a key monitoring and oversight department, the Premier’s office should have set an example of good governance and accountability. The lack of improvement in audit outcomes indicated that the provincial leadership was not interested in taking remedial and corrective measures and that overall there was poor accountability and consequence management. Focused political will and considerable investments in monitoring and oversight were required to turn around the audit outcomes of the province. The Committee encouraged more stringent oversight by the oversight institutions including the Portfolio Committees in the North West Provincial Legislature, and Councillors in the Municipal Councils. They appealed for focused political will and commitment to monitoring and oversight, and urged the provincial leadership to take responsibility and create a culture in which accountability could be restored and strengthened in the Province. They complimented the positive attitude of the new Premier, who had been sworn in barely a week earlier after the recall of Mr Supra Mahumapelo, who had been in office since 2014. They queried the escalation of irregular expenditure from R8.6 billion to R15.3 billion in three years. They also sought more information on the contravention of procedures, unauthorised and wasteful expenditure, litigation and court orders, as well as the chain of command in the provincial government. After the lunch break, the Committee was briefed officials from the various North West Province government departments, each of which were afforded the opportunity to make their presentations regarding their departments’ structure and performance. They expressly stated that they supported the interventions, which was well received by the Committee. Among many concerns, Members expressed dismay at the manner in which finances had been handled in the province. Several expressed their displeasure at the manner in which the Office of the Premier had centralised services that should be performed by the provincial Department of Local Government, and other provincial departments. This had resulted in the Office of the Premier being an implementing agent, instead of conducting monitoring and evaluation over the provincial government. They also lamented the lack of consequence management for irregular, fruitless and wasteful expenditure, particularly where this had been allowed to escalate over several years. The Committee also believed that oversight institutions in the province had to strengthen their oversight mechanisms. Some members also sought clarity on issues pertaining to the labour strikes in the province, and the developments in the field of education with a view to improving the matric pass rate. The Chairperson outlined the order of presentations and said the first part of the day’s agenda was to be a diagnostic analysis of systems, structures, and coordination. Mr Job Mokgoro, Premier, North West Province, said he welcomed the intervention and promised the North West provincial government would cooperate with national government's Section 100 intervention, and said it understood it clearly within the context of the requirements for good governance. A solid and robust intergovernmental was one of the vehicles for maximising service delivery to the people. The municipalities were a huge part of the governance challenges in the North West Province, so the Section 100 implementation would be better served if there was elaborate and comprehensive legislation to guide the responsibilities of each sphere of government affected. One problem area was the Department of Rural Environment and Agricultural Development. It was too soon for him to give a diagnosis on the problems facing his province, and he needed more time on the ground before reporting back to Parliament. The issues were complex and many of the assumptions had been proven to be incorrect, and he would be the last one to understand what the root causes were. He was concerned that if he were suggest he knew the causes, and all agreed to the interventions, there was a danger that the interventions would fail. This was the essence of the challenge facing the South African government in general, and North West province specifically. In his view, there was a need to reach a certain level of genuineness, of honesty, with a deep reflection of the interests of nobody but the 3.84 million people of North West, so that a frontal attack could be launched on the issues that had been highlighted. He said he would be working closely with the National Treasury to fix the procurement issues in the province. Dr Lydia Sebego, Director General, North West, said the province was mostly affected by irregular expenditure, and poor financial management had not been described in “glowing terms” in audit reports during the past five years. Various contracts for the upgrading and modernisation of the information communication technology (ICT) infrastructure in the province had been entered into with Nepo Data Dynamics, amounting to R376 million. As at 31 March 2017, the Department had paid R110 million in terms of these contracts, but sufficient appropriate audit evidence could not be provided that goods and services for this amount had been received. In addition, the award of these contracts had not been in line with supply chain management (SCM) requirements, and deviations had not been approved as required by Treasury. Irregular expenditure of R 104.6 million in this regard had not been disclosed by the Department. The Provincial Public Accounts Committee (PPAC) had failed to take appropriate action to ensure that irregular expenditure was properly investigated and that there had been consequence management. Mr Dondo Mogajane, Director General, National Treasury, told the Committee that the problem in the North West Province lay with decisions taken under the political leadership of the former premier, Mr Supra Mahumapelo, as well as a lack of skills, mismanagement, the rapid turnover of heads of departments, and the sometimes deliberate flouting of the rules meant to ensure public funds were spent for the public good. The Office of the Premier of the North West Province had suffered pervasive irrational executive decisions and poor financial decisions as far back as the 2014/15 financial year. Among other governance decisions that had been questioned was the fact that the North West Parks and the Tourism Board had been shifted to the Office of the Premier in the 2014/15 financial year. There had been a failure to provide oversight and leadership in service delivery and the intimidation of provincial departments, among other factors. Other challenges affecting the Province included a lack of effective mechanisms to hold the executive and officials accountable for the misuse of public funds and poor service delivery. Treasury had also found that R10 million worth of spending on social services had been diverted, and there had been up to R15.3 billion in irregular expenditure by the end of March 2017. The irregular expenditure had increased consistently at an average of R2.1 billion per year from the R8.6 billion in the 2014/15 financial year. The provincial departments of Education, Public Works, Community Safety, Health and the Office of the Premier had incurred irregular expenditure due to non-compliance with National Treasury regulations and supply chain management guidelines. The North West provincial government’s budget for the 2017/18 financial year stood at R 39.6 billion, with under-spending of R834 million. The Departments of Health, Education and Public Works had been the main culprits, and unspent funds of some R300 million had reverted back to Treasury for allocation to other provinces which were spending. It had a backlog of R36 billion in work for road infrastructure, yet it was sitting with R140 million in under-spending by the relevant department. The Public Works and Roads Department alone was responsible for R550 million of irregular expenditure. In Treasury’s view, the North West provincial government's greatest weakness was not the lack of funding, but poor supply chain management. The warning signs of the financial crisis in the province were there, but no action had been taken. For example, despite reports indicating a ballooning irregular expenditure from R8.6 billion to R15.3 billion, no action had been taken against officials responsible for this. Mr Success Marota, Business Executive, North West, assisted by the Auditor General, Mr Kimi Makwetu, briefed the Committee on the impact of the accountability failures in the North West Province. The Auditor-General’s office said that the premier’s office had received qualified audit reports for two years up to March 2017, with increasing amounts of irregular expenditure. 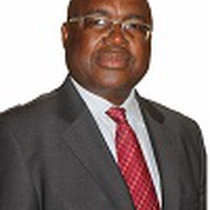 The Auditor-General of South Africa (AGSA) had a constitutional mandate and, as the Supreme Audit Institution (SAI), existed to strengthen the country's democracy by enabling oversight, accountability and governance in the public sector through auditing, thereby building public confidence. As a key monitoring and oversight department, the Premier’s office should have set an example of good governance and accountability in the provincial government. The lack of improvement in audit outcomes indicated that the provincial leadership was not interested in taking remedial and corrective measures, and that overall there was poor accountability and consequence management. The overall audit outcomes for provincial departments had regressed over the past four years, with only 32% of the auditees obtaining financially unqualified opinions in 2016-17, compared with 46% in 2015-16 and 62% in 2014-15 and 2013-14. Most of the audit findings were repetitive in nature. The Department of Finance had been the only department that had maintained its audit outcome of financially unqualified opinions with no other findings for four consecutive years. The audit outcomes of public entities had also regressed, with no public entity achieving an unqualified opinion in 2016-17. In many cases, there had been material misstatements of financial statements. Vacancies in key positions and the lack of appropriate competencies were the main reasons for the inability to implement basic controls such as record management, as well as daily and monthly reconciliations to ensure the preparation of reliable financial reports. This had also contributed to the over-reliance on consultants. 91% of auditees had findings on compliance with legislation, specifically in the areas of irregular expenditure and non-adherence to procurement and contract management precepts. This had resulted in an increase in irregular expenditure from R2.96 billion in the 2015-16 financial year to R3.6 billion in the 2016-17 financial year. As a result of this year-on-year increase, and due to irregular expenditure not being investigated, the total unresolved balance for the province had been R16.5 billion. Mr Marota said most of the recommendations made had not been implemented, specifically when looking at irregular expenditure, where the province had had an unresolved irregular expenditure of R15.3 billion as at the end of the 2016 financial year. 59% of the irregular expenditure in 2016-17 had been incurred by the Department of Community Safety and Transport Management (R880m), Health (R714m) and Public Works and Roads (R550m). Some of the non-compliance with spending prescripts had been as a result of incorrect interpretation of laws and regulations, but this was not generally the case. In most instances, it was found that it was basically a deliberate disregard of compliance, and laws required to be attended to, particularly in terms of the supply chain. Mr Schalla van Schalkwyk, Deputy Business Executive: AG's Office, added that there had been a clear regression over the past five years, which the AG's office attributed in part to province’s lack of chief financial officers (CFOs), as well as a lack of skill on the part of the incumbent CFOs. As a result, the AG's office had determined a clear lack of reliable daily, weekly and monthly controls. DPW: Awarding of a tender for the rehabilitation of flood damaged roads by participating in a contract arranged by another organ of state which was unrelated. Health: Awarding of various cluster security contracts to suppliers not recommended by the Department's bid adjudication committee. Focused political will and considerable investments in monitoring and oversight were required to turn around the audit outcomes of the Province. Management did not respond with the required urgency to ensure an improvement in audit outcomes. The political leadership and oversight bodies demonstrated limited political will to ensure accountability and consequence management. The instability and prolonged vacancies in key positions impacted on the rate of improvement in audit outcomes. Key controls that enabled reliable and timeous financial and performance reporting were not institutionalised. Coordinating departments and role players did not adequately support other departments and entities. Provincial executive leadership did not set an example of accountability. Focused political will and a considerable investment in monitoring and oversight were required to turn around the audit outcomes of the Province. The provincial leadership should take responsibility for creating a culture in which accountability could be restored and strengthened. The provincial leadership and oversight structures should develop a comprehensive assurance model inclusive of strong and effective governance structures to enable all key role players to adequately perform their monitoring duties as well as ensuring that the administrative leadership was held accountable for commitments with regard to improved financial and performance reporting disciplines. These should include oversight activities, especially on matters of consequences; the tracking of commitments; the implementation of the audit action plans; and the timely tabling and regular follow-up of key resolutions. The provincial leadership should take accountability by enabling the audit environment not to be hostile, reducing the contestation of audit findings as well as pushbacks in the absence of evidence, and subtle threats against staff. The use of implementing agents at the premier's office and the Department of Rural, Environmental and Agricultural Development, had resulted in irregular expenditure, as the implementing agents had not adhered to the Department’s SCM policies, as required. There had also been instances where management had applied discretion to deviate from SCM processes without adequate reasons, such as the awarding of a tender for the rehabilitation of flood-damaged roads for R103 million by Public Works and Roads; and the awarding of various cluster security contracts to suppliers not recommended by the Health Department's bid adjudication committee. A provincial committee to advise auditees on dealing with irregular expenditure had been established in February 2017, but to date, the submissions by departments had not been adequate to assist in clearing the growing irregular expenditure. In addition, the legislature's portfolio committees and the public accounts committee (PAC) had also not had much of an impact on the lack of accountability and consequence management in the province. The financial health of most public entities in the province remained the biggest concern. Most entities continued to incur deficits every year, while the total current liabilities exceeded the total current assets at seven entities (78%). This indicated that the entities could not honour their liabilities and were therefore fully dependent on funding from their holding companies or departments to continue to operate as going concerns. The financial statements of two entities had been so poor that a reliable assessment could not be done, but there were indicators of financial problems. While the financial health of departments improved over the four-year period, there was still a concern regarding accruals outstanding in excess of 30 days at seven departments (54%), which indicates that suppliers were not paid timeously. The non-payment of suppliers on a timely basis, specifically by Health, Education and Public Works and Roads, severely affected service delivery. In addition, litigation and claims against Health in excess of R 1 billion highlights the Department's and Province's financial vulnerability should these claims be successful. Strong financial discipline was required to manage, monitor and spend funds to ensure the most effective, efficient, and economical use of resources. The Province's downward spiral would continue until such time as the pillars of accountability and good governance were put in place, Consequently, the provincial executive leadership and oversight structures should aspire to develop a comprehensive assurance model, including strong and effective governance structures, which was required so that all key role players adequately performed their monitoring duties, and the administrative leadership was held accountable for future commitments with regard to improved financial and performance reporting disciplines. This should include key oversight activities, especially on matters of consequence management, the tracking of commitments, the implementation of audit action plans, and the timely tabling and regular follow-up of key resolutions. In addition, the provincial leadership should take responsibility for creating a culture in which accountability could be restored and strengthened in the Province. Accountability, consequence management and action by the provincial executive leadership in addressing root causes, were the cornerstones for improving audit outcomes. The Chairperson commended Mr Mokgoro for his honest approach to issues in the province, and for admitting he did not fully know the root cause of the problems in the Province. This would go a long way in bringing back integrity to the North West. He added that the finding by the Office of the Auditor General should be converted into an action plan. Mr A Nyambi (ANC, Mpumalanga) asked Dr Sebego to elaborate on his statement that the media narrative distorted facts and misled communities. He also requested more information on the undue politicisation of government programmes in the Province. Mr O Terblanche (DA, Western Cape) asked what the reason was for the various problems in the province. Was it because people were not properly trained or managed? Mr M Monakedi (ANC, Limpopo) queried whether the name of the province had been changed as part of their branding and rebranding initiatives, because parts of the various presentations had quoted a different name for the province. He requested a list of the challenges identified by the inter-ministerial committees on the province. Under tourism, there had been an indication of undue interference by political actors, yet the Director General had mentioned in her presentation that there was a “healthy interface with political actors.” He was concerned that the departments that were supposed to set a good example, including the Office of the Premier, Finance and the Department of Local Government and Human Settlements, had the most problems. Ms T Wana (ANC, Eastern Cape) asked for information on the development arms of the municipalities, as there had been no report on them from the presentations. She complained that the presentations were silent on the court orders, and that the presenters had referred to a loss of R9 million as “small”, yet to her that was a huge amount. 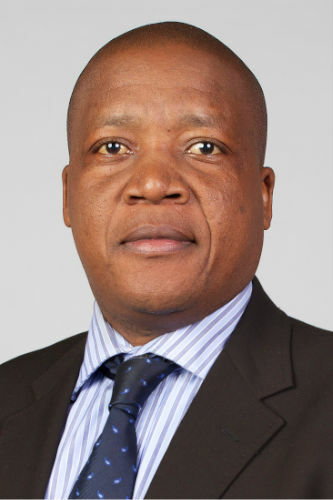 Mr S Mohai (ANC, Free State) wanted to know the role the accounting officers and heads of departments (HODs) in view of the clustering of the chief financial officers (CFOs), and whether having a centralised audit unit auditing all the departments meant that the various units did not have their own auditing mechanisms. What was the role of individual municipalities in producing their own Integrated Development Plans (IDPs), and how could the Provincial Legislature have contributed to the problems by not playing its oversight role? Could they have been abdicating their responsibilities? Ms L Dlamini (ANC, Mpumalanga) commented that the presentations from the National Treasury and the Auditor General had proved that there was a lack of coordination. She wondered why the province was in such a state and whether it was because of the lack of capacity or whether it was a deliberate attempt to loot the state. She advised that the AG’s office was there for additional support and should not just show the mistakes, but also provide recommendations and corrective and remedial actions to be taken. She queried what the role of the Department of Local Government was, if the Office of the Premier was responsible for front-line service delivery. Did the various stakeholders have the autonomy to do their work or were they threatened or politically interfered with? She asked who had made the inherited unfunded commitments, and what was being done about those commitments. Mr T Motlashuping (ANC, North West) commented that the interventions were not punitive actions, but were rather meant to provide support to the province. The purpose of the presentations was to ensure the decision of the Committee was a rational one. He advised that based on his experience, all provinces should reconfigure their departments, and then allocate responsibilities. Mr M Chetty (DA, KwaZulu-Natal) commented that the issue should have been dispensed with years ago. The issue of oversight had been raised at the Inter-Ministerial Task Team (IMTT), and there was no explanation for why it had taken so long. He asked what the interventions were and the processes in place to attempt to rectify the faults. He wondered where the oversight over the departments and line items, such as improving ICT controls, was. Why had all this had to come out after the Premier was recalled? Where had the oversight of the national and provincial governments been when the reports clearly showed the problems -- and they had been evident for the last three years? He hoped that at the end of the process, more heads would roll in respect of providing accountability. Ms T Mokwele (EFF, North West) asked what the chain of command was, and whether there was a proper hierarchy of command. She elaborated that the principles that applied in proper institutional practice should also apply at the provincial level. She queried whether the people in the various offices had clear job descriptions and how they were assessed on their performance. She wondered whether there was a work ethic, a civil service guide, and code of conduct in the province. Premier Mokgoro responded that audit report after audit report had pointed to a number of gaps because of various weaknesses. All vacancies had been filled, but the rot continued. Having world-class CFOs appointed was no guarantee that things would work. He admitted to not fully understanding the root causes of the problems and said that some of the interventions depended on a set of assumptions which had been proven to be false. There was a need to mobilise resources to get a better understanding of what the root causes of the issues were, and address the needs of the 3.84 million people in the North West Province. At the moment, he could not spell out exactly what the specific issues were. Dr Sebego said that some of the commitments had fallen through the cracks, leading to promises being made without financial and structural commitments to back them up. A typical example of the media distorting facts was when the AG referred to “irregular expenditure,” and the word “irregular” was interpreted by the media to mean corruption, which was not accurate. Irregular, in this case, meant that some of the procedures had not been followed 100%. She gave an assurance that the North West provincial government was aware that it could do better, and was committed to improving. Mr Mogajane responded that the prerogative to design the programmes of the province was the responsibility of the province, and not the National Treasury’s. The law advised that the Treasury should prescribe norms and standards, but it did did not normally exercise or enforce them. North West was the only province in the country where the Education Department was mixed with other departments and was not a stand-alone Department. There was, therefore, a need for reconfiguration of the departments in the Province. The reasons for under-spending in the various departments varied. He clarified that the R9 million loss had been described as “small” when compared to the R174 million in fruitless and waste expenditure. Mr Makwetu said that materials, mankind and money -- “the three Ms” -- needed to be in balance. The missing oversight was part of the imbalance between the three Ms, which was what had allowed the problems in the province to perpetuate. Of specific concern was the audit outcome of the Premier's office, which had remained qualified for the last two years, with increasing irregular expenditure. As a key monitoring and oversight department, the Premier's office should set an example of good governance and accountability. The lack of improvement in audit outcomes indicated that the provincial executive leadership was not interested in improvement and that overall, there was poor accountability and consequence management. Specific commitments made relating to accountability and consequence management had not been successfully implemented. A consequence management committee had still not been established, resulting in the provincial executive leadership not holding accounting officers or accounting authorities accountable for the lack of progress made over the four-year period. Mr Mohai said he was unhappy with the response by the DG on the issue of unauthorised and wasteful expenditure. For there to be unauthorised and wasteful expenditure, there had to be contravention of some procedures, and that was the reason for the public perception that corruption was involved. Ms L Zwane (ANC, KwaZulu-Natal) asked about the issue of litigation and court orders which had not been answered in the various responses, and suggested the delegations should respond to that question after the lunch break. The Chairperson announced the end of the first part of the agenda of the day. The Members took a 45-minute recess to allow for a lunch break. The Chairperson welcomed everyone back after the lunch break. 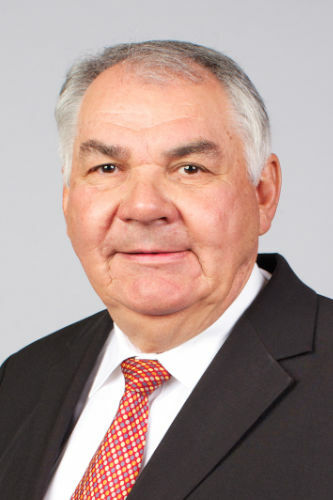 He started by thanking Ms Wendy Nelson, MEC: Finance, North West, who had been acting as the Premier since May 2018 until the new premier was appointed, for a job well done so far amid “awkward circumstances.” He invited her to give her responses to the earlier presentations and laid out the modus operandi for the rest of the meeting. Ms Nelson insisted from the outset that the state of finances in the province was sound – it had not collapsed. She then addressed the question that had been asked in the morning regarding who monitored when MECs engaged with communities, by saying that “there should not be distance between government and our people. So when we go out into the communities, it is part of our ‘10 by 10’ and other programmes, to listen and mediate between government and the communities from the 11th to the 20th of every month, as well as to provide services… It gives people an opportunity to raise any issues they have with government.” Although they acknowledged that there were problems with expenditure in the province, there were systems in place to deal with them, which also prescribed sanctions for any irregularities. There needed to be a change in the narrative that whenever there was unauthorised expenditure, it automatically equated to corruption. The systems in place were aimed at dealing with these matters. She also felt it was necessary to deal with the issue in the handout by the National Treasury, of employees being threatened, particularly by the Department of Finance. In every company, whether in the public or private sector, employees were governed by a code of ethics or conduct, and despite everyone having access to information under the Promotion of Access to Information Act (PAIA), it should not happen that government employees take information from government systems and put it in the public domain. This would never the tolerated in the private sector, therefore it could not be tolerated in the public sector. There was a process for getting access to information. The Chairperson asked the Members to take note of the fact that the coordinating role of the Department of Finance was hampered by other auditees not being responsive to Treasury recommendations, and best practices were consequently not being replicated. Mr Ndlela Kunene, Head of Department (HOD): Finance, North West, said that in the 2018 financial year, they had exceeded their target. In terms of the law, the province was expected to table a balanced budget, and so far it had not tabled one that was less than the expected amount and what it had available. When the legislature approved and authorized expenditure, the provincial treasury had the responsibility to provide the requisite funding for it. These were the considerations for funding and expenditure. He then addressed the conditional grants. The first was the Human Settlements Grant (HSG) and the other was the expanded public works programme (EPWP) integrated grant for provinces. The problem in this regard was the late implementation of projects. They had appealed to the departments to implement projects as a matter of urgency. The province had a positive cash balance and had exceeded its own revenue. This was the liquidity position. The unutilised funds would be transferred back to the National Treasury. Regarding how they dealt with accruals, at the close of the financial year, they had not received the information from the Health Department, and estimated that the accruals in health would be over R820 million. Collectively, the province should manage the accruals to a level of less than 3% They had set a target for each department to ensure their accruals did not exceed a certain threshold, and aimed to implement these control measures in the current financial year. This was so as to manage the accruals. The province had clustered the departments and had audit committees for each department. The North West Provincial Internal Audit (NWPIA) function was a shared service established in terms of Treasury Regulation 3.2.3. With the audit plan, they were prioritising matters to do with supply chain management. There was also a lot of emphasis on the internal audit because the extent to which the outcomes of the internal audit were audited depended on the outcome of the audit, which largely dealt with internal controls. In respect to irregular expenditure, the province had unauthorized expenditure of R385 million, and irregular expenditure of R15 billion. There was a Provincial Advisory Committee to address this aspect and guide departments and entities to resolve all outstanding irregular expenditure. Through the Advisory Committee, an amount of R2.5 billion in irregular expenditure had been presented to the committee and recommended to be presented to the relevant authorities for a final decision. The province had been submitting all Annual Financial Statements to the Auditor General as was required by law, within the deadline. Dr Magome Masike, MEC: Department of Health, North West, said that all the various aspects and systems involved in health, such as budget, the workforce and pharmaceuticals, were interrelated, coordinated and interdependent. Therefore, if any of these were interfered with, one would be unable to give the right services to the right people -- if one interfered with one, the entire system was affected. He then invited the administrator to make the presentation on behalf of the Department. The Administrator started by dealing with the question that had been asked by the Ad Hoc Committee regarding communication matters. He said that in terms of section 100 (1) (b), the National Minister of Health was in charge of the North West department of health, so as the administrator, he reported to the Minister through the DG but in consultation with the MEC, because this provision was a temporary measure. The Chairperson interjected and emphasised the importance of consultation with the authorities. The Administrator continued that this intervention had to be sustainable, so they would continue to use the reporting structures to report to the relevant portfolio committees in the North West provincial legislature. They were going to great lengths to ensure that the changes brought by these interventions did not go against the principles of co-operative governance. A lot could be done in the health department to save money and spend it cost-effectively, although they were under-funded. On accruals, she said that there was no legislation to regulate and deal satisfactorily with accruals. She said that the Department of Health did not have organisational capacity, and the health workers were getting frustrated and burnt out because they worked without the requisite equipment and were short staffed. Due to the high vacancy rate, the labour force failed to meet the Department’s needs for technical and managerial skills. There were 21 820 posts and of these, 81% of the posts (17,645) were filled and 19% (4,175) were vacant. This was above the required threshold of 10% vacancies. A large number of the posts were contract positions, meaning that people were brought on board in positions that were not on an approved staff establishment. Also, it meant that persons were brought into the DoH in a non-transparent manner and other possible candidates for such posts were not given the opportunity to compete. In respect to performance management in the Department, there had been outstanding performance management appraisals of employees which had triggered labour action. This was largely related to the Department’s changed policy for the Performance Management Development System (PMDS) which was not in line with keeping good management and practice, as supervisors were not afforded the opportunity to present the annual performance assessment reports of the junior colleagues to the monitoring committee, to defend their performance to these committees. Despite the challenges, there were a number of service delivery achievements in the health sector of the province, and therefore it was not all doom and gloom. However, the targets set at most health facilities were very low, owing to the resource and personnel constraints they faced. A large proportion of the client community and the staff members of these facilities were frustrated because they were forced to work at facilities where infrastructure was wanting, and they were not supported due to the insufficient personnel. The percentage of hospitals compliant with 90% of vital measures of the national core standards was at 15%, against a target of 15.4%. Again, this target had been set with regard to the limited resources available to work with. They were doing very well with HIV and immunisation targets, with mother to child care, etc. Dr Masike added that it was the system that had a problem, not the persons within the system. He remarked that their role was to promote the greatest good to the greatest number of people. The Chairperson made it clear to the Members that the National Treasury did not have the financial resources to address all the challenges. He insisted that resort would have to be made to public-private partnerships (PPPs) to address the myriad of challenges in the province. Mr Sello Lehari, MEC: Department of Education and Sport Development Department, said there had been questions as to why education and sports were clustered under one department. It was important to combine the two, because it was easier to develop a child at school than outside school if there was education and sports management in schools. On institutional and governance matters, the Department had a fully functional senior management and departmental management team. There was the following structure in place: audit committee, risk management committee, departmental government review committee, budget committee and supply chain management committee, and most posts had been filled. On organisational capacity, there was a unit that was specifically dealing with capacity building in the Department. The unit trained both the office-based staff and school-based staff, involving human resource development and teacher development. On stakeholder management and community participation, the Department ensured that it participated with all the stakeholders, for example, labour movements and community members. Ms Stephina Semaswe, HOD: Department of Education and Sport Development Department, said that the department was divided into four districts, which were demarcated in terms of municipal boundaries, and further divided into sub-districts. It consisted of 1 494 schools categorised into public ordinary schools, public special schools and independent schools. On planning matters, the Department employed a number of tools, such as the National Development Plan (NDP), the medium term strategic framework (MTSF), strategic and annual performance plans, the state of the nation, and state of the province, addresses, and sector specific policies. Monitoring and evaluation was also taken very seriously in the Department and there was a directorate that was tasked with this responsibility. The Department was responsible for two outcomes -- improved learner attainment in Grades R to Grade 12, and to create, promote and develop sustainable sport development programmes. There were three strategic goals and also eight programmes, with indicators, that delivered on these goals. The indicators were monitored on a monthly and quarterly basis. On organisational capacity and challenges, there were 44 posts, of which 35 were filled, nine were vacant, and seven of the nine vacant posts had already been advertised. School-based promotional posts were advertised twice a year, teacher posts were filled every time a post became vacant and office-based promotional posts and vacant posts were advertised upon approval from Treasury/ DG. The realigned organisational structure had been approved in March 2017. There were outstanding feedback sessions that had to be done for the entire staff. These feedback sessions were important to present the organisational structure and the matching and placing framework to the staff members, in concurrence with labour organizations and unions. Mr G Molema, Chief Financial Officer (CFO): Sports, North West, said that the Department had received unqualified audit outcomes for the past three financial years. The audit had raised the following areas as needing attention for the department to improve its audit outcomes: contract management, compliance with laws and regulations, and validation of performance information generated through the South African School Administration and Management System (SA-SAMS). The following interventions had been implemented to address the challenges: strengthening risk management by filling all vacancies in the unit, capacitation of internal control unit in order to improve detection and prevent of non-compliance with laws and regulations, and fast-tracking investigations of irregular and fruitless/ wasteful expenditure. An audit committee had also been appointed recently. With regard to financial management controls, the Department -- with assistance from the Treasury --had implemented the following controls to ensure that spending was within the allocated budget without compromise to service delivery: expedited placement of excessive educators, assisted the Department in dealing with employees who were on long sick leave, reducing spending on discretionary costs so that funds were redirected to the key service areas, working closely with provincial treasury to guard against overspending the budget, therefore preventing unauthorised expenditure. Others measures were continuous reprioritisation of the budget from goods and services to key service delivery priority areas. The budget for key service delivery priorities was centralised at chief directorate level to ensure accountability was placed at management level. All funds allocated to service delivery priorities were ring-fenced to avoid cross funding and utilisation of such funds for purposes that were not intended. Last year, 98% of the budget had been spent. The Chairperson said that the under expenditure on the department’s budget would have an effect on service delivery, so the people in the community were the ones being affected. Mr Motlashuping said there had been outcry in the DoH which had led to the intervention, specifically regarding hospitals that were dysfunctional. Therefore, he wanted Dr Masike to shed more light on this issue and to explain why the new hospital that was to be built had not yet been constructed after so many years. What were the issues that had led to the Department being placed under administration? Additionally, he wanted the issue of striking workers in the Department to be addressed, and questioned which law allowed them to be on strike for so long and they be paid without working, and nothing was being done, as this would set precedent in the country. On education, he asked why there was a school that should have been constructed long ago, but was still not completed. One did not want a repetition of a situation that had happened in Limpopo, where there was no clear line between the responsibilities of an administrator, the HOD and an MEC, because the MEC was the political/ executive authority of the Department. On accruals, he asked the various departments to clarify from when the accruals began to be calculated, since the departments had said the accruals were “incremental”. Ms Dlamini asked Mr Lehari to clarify his earlier remark when he had said the province was ranked Number Four in terms of performance, but Number Nine was not under administration -- yet North West was under administration. She asked Ms Semaswe to speak about SONA pronouncements, because in her presentation she had addressed only SOPA pronouncements. She also asked why none of the officials from the Department had mentioned culture, since culture went hand-in-hand with sports. She asked the DoH to justify why they had a very high vacancy rate. She also lamented the fact that the Department claimed they set low targets because of limited resources, yet there was money in the bank for the DoH which had remained unused. She emphasised that other departments could afford to be compromised, but on could not compromise the DoH. Why was the Department was still under administration? She also lamented the poor state of facilities in the DoH which made most of their staff want to relocate to other provinces with better facilities and working conditions, saying that they failed to manage even the few facilities they had. What was going wrong with procurement in the province, because most of the supply chain matters were done by outside companies? Mr M Khawula (IFP, KwaZulu-Natal) explained that the objective of the meeting was for the North West province to give the members of the Committee information in order for them to make an informed decision as to whether the interventions in question were justified or not. He raised issue with the statements made by the DoH administrator, who had said that the Department was above all national targets. Apart from the issue of the strike, why had it been put under administration? Lastly, he asked the Treasury why they still had issues that were unresolved, and intimated to the Department of Education that the issues that had contributed to their being put under administration involved finance. Therefore, he asked what these finance issues were, so that the Committee could understand the position fully. Mr Nyambi supported Mr Khawula’s sentiments that full information was required by the Committee, so as to aid in making informed decisions. He reiterated that issues of irregular expenditure were very serious and must be treated as such. He also emphasised the absurdity of the remark by Mr Lehari, claiming that they were Number Four in performance, but Number Nine was not under administration, yet they were. It was absurd because saying another province was worse did not help to solve the problem, and deviated the focus from the North West to other provinces. Ms Wana observed that the vacancies at the DoH were in senior positions, and asked for more information about the strike in the Department. She asked what the consequences for irregular expenditure were. Mr Terblanche expressed disappointment with the presentations that had been made, arguing that they were not helpful. They had focused almost exclusively on the structures of the various departments and did not discuss the work that they were supposed to be doing -- they were not addressing the issues raised, especially by the Treasury. He said that his questions from the previous meeting regarding supply chain and procurement issues had not been answered. Mr Monakedi asked whether the measures introduced by the National Executive had been necessary or not, and whether they were justified or not. This was the most fundamental question and was the reason for the meeting. He emphasised that it was up to the NCOP to make a determination whether it approved of the interventions or not. He also asked Ms Nelson to clarify her statement that when they went into the communities, they not only went to monitor, but also to deliver services. He was under the assumption that they just went to monitor, so he needed clarification. He also asked the provincial treasury to explain what it was doing to avert the challenge of adverse audit outcomes in municipalities. He asked why the labour strike had taken so long and the provincial government had failed to intervene. Lastly, he asked what the departments were doing to solve the problem of vacancies in key positions within their departments. Ms Nelson explained that the Treasury had said that whatever funds were not spent by the departments would not go back to the Treasury, but would be ring-fenced and would be dealt with in the adjusted budget, so that the accruals did not increase and the money was not lost. She also emphasised that the DoH had never been under administration. It had had accruals of over R1 billion in 2014, and the Treasury had been able to assist in bringing the accruals down. However, they had gone up again because the Department had been unable to transact for a period of three months. As indicated above, these amounts would be ring-fenced so that they could be set off in the adjusted budget. Therefore, health had never been under administration -- they had been supported. She insisted that contrary to the accusations, the Finance Department was not taking the issue of irregular and fruitless expenditure lightly. However, these expenditures must not automatically be equated with corruption. She concluded by saying that provincial treasuries must play an oversight role and give guidance, but in the event that departments did not perform, sanctions must be put in place to address this. Dr Masike began by claiming that he had not received the Inter-Ministerial Task Team (IMTT) report about the state of affairs in the province, and had heard about it only through social media, so did not think it was serious. He reiterated that the systems in the health sector were interrelated and interconnected, hence if one was affected, it adversely affected the others. On the question of why the strikes took so long, he said it took long because many doctors could not be paid because they were on strike. On whether it had been necessary for the DoH to be placed under administration, he said that it was justified to take such measures as long as they could be assured that at the end of it all, it would be better. He was therefore comfortable with the interventions because they had identified problems, as had been indicated by the National Treasury and the Auditor General. In respect of consequence management, there were ongoing disciplinary procedures and a number of people had been held accountable. Some of these processes took very long, but this was a government problem (referring to the police). Disciplinary cases were also ongoing with regard to supply chain management and procurement issues. He said the core business of the Department was to make sure that it prevented, diagnosed, treated and controlled diseases. The rest were supportive. If one looked at the statistics presented today, in terms of prevention, it had diagnosed so many diseases. They had estimated they would provide at least one ambulance for about 10 000 people, but at the moment they were unable to provide enough ambulances for the entire province. Many of the ambulances in their disposal came from the private sector. This emphasised the insufficient resources that the Department was faced with. He also lamented that there were workers being paid for not working, thus increasing the levels of accruals. There had also been an outcry on non-funded hospitals. It was because of the vacancies and poor infrastructure that the systems were not working optimally. The support of the Committee was therefore necessary to help with this challenge. the, ka to give responses on the financial aspects. Ms Bertha Male, CFO: DoH, referred to the accruals, saying that over the past five years the had been increasing. The current unaudited level of accruals was R952 million. To solve this issue, the Department had asked the National Treasury to assist, to ensure the accruals did not continue rising. The department was also assessing and reviewing all its contracts to check whether there were any contracts where it could save money, especially those contracts that were being highlighted in the media. Premier Mokgoro asked the Chairperson to resend the letter that was said to have been sent to all the members, yet there were some who had not received it, as they could not respond to a report they did not have. He had identified more than forty “dots” (irregularities) in the DoH when he had conducted his own assessment. The Committee had to assist in “joining the dots” by addressing each and every one of them. The Chairperson sought guidance on what report the Premier claimed he had not received. Ms Nelson backed the Premier’s claim, saying that they had been denied access to the IMTT report, as it was said to be confidential. The report had later been posted on to social media. They could now access that report through social media, but as a province, they had not officially received it. The Chairperson directed that this anomaly must be corrected, because it was important that the new Premier be handed the report immediately. Mr Nyambi, Ms Dlamini, Mr Mohai addressed the issue of the IMTT report not being brought to the attention of the Premier. They said they had been expecting the Department to respond on the report, but they surely could not present on a report they had not received. They expressed displeasure with this situation. However, the situation was not clear, because a presentation had been made previously on the contents of that report, and the province’s officials -- including the Premier – had been present at that presentation. They found it strange that the province’s officials were claiming that they had never received the report, but had attended a presentation on that very report. The Premier acknowledged that they had attended the presentation, but insisted that the report should have been made available to them. Mr Mohai argued that there should not be an impression created that the provincial Executive and provincial Legislature were not working together. This could not be an excuse. The Committee expected the province to respond to the report. The Chairperson said he had been under the impression that the province’s officials were in possession of the report. Ms Nelson read out verbatim, the report/brief that had been sent to all the members and officials present, in preparation for this meeting. She said that all the presentations that had been made in this meeting had been given pursuant to the brief. Mr Lehari give his responses to the questions on education. He said his Department welcomed the Section 100 (1) (a) and (b) interventions. He apologised for his earlier remarks, as explained above, which had caused discomfort among the members, about the province ranked lowest in terms of performance had not been put under administration, whereas North West had. Despite agreeing with the Section 100 (1) (a) and (b) interventions, he cautioned Members against implementing such interventions in future. Mr Nyambi interjected and took exception to the apparent threat by Mr Lehar,i and demanded that he apologise for offending the Members of the NCOP. The Chairperson instructed Mr Lehari to stick to the questions that had been asked by the Members, and asked him to give an apology for cautioning Parliament. This angered the Members, especially Mr Chetty, who said that he was being asked to apologisze for cautioning Parliament, not for what he had attempted to apologise for. The Chairperson again asked Mr Lehari to apologise for cautioning Parliament, and to stick to the questions that had been posed to him by the Members. Mr Lehari eventually apologised and concluded his responses. Ms Semaswe insisted that her Department needed help in terms of supply chain management. However, some of the challenges in this regard had been resolved, specifically those concerning financial management controls and inefficiencies. On the question of schools that had not been completed, she said the contractor that had been appointed to construct the school had passed away. The matter had escalated to the courts and other contractors had been appointed, as per court directives, to finish the various projects in the different areas of the province. Therefore it was the legal processes that had delayed these projects. She acknowledged that a slide on SONA pronouncements had been missing from her initial presentation, but referred the Members to the slide showing issues of planning, saying that they had indicated that SONA was among their planning tools. She briefly addressed the issues raised by the President in his SONA address, one of which was regarding Early Childhood Development (ECD). She said that the Department was tasked with training the ECD personnel and was currently awaiting communication from the Social Development Department for information on the four, five and six year olds and below, in the primary schools. She said that they had suitably qualified Grade R educator,. so she did not think that the North West province had a problem of ECD practitioners. Another issue raised by the President had concerned the matric pass rates. In her earlier presentation, there had been a slide reflecting the matric performance over the last three years in the province, which showed a gradual improvement. The President had nevertheless said that the province must improve its matric pass rate further. The President had also spoken about agriculture being the biggest contributor to the economy. The Department of Education and Sports Development had become involved in this because it had increased the number of schools taking agriculture as a subject. There were also several agri-focused schools in the province. These were a few of the measures that the Department had implemented, which revealed its contribution to agriculture being the biggest contributor to the economy. The province had also increased the study of tourism in schools and the number of schools that were taking tourism as a subject. She also talked about several projects aimed at improving infrastructure in the health sector. These projects were coordinated by the national government. Ms Johanna Maluleke, MEC: Public Works, North West, said that the Department was having challenges addressing the issues of over-commitment, especially when it came to the building of roads. This was one of the issues that had caused protests, apart from the issue of removing the premier. These protests had affected education because when people protested for roads, they closed schools and other government buildings. She said that they welcomed the interventions. The Department was also facing budgetary constraints, with insufficient funds available. Another cause for the protests that were stifling development at the moment concerned the EPWP. These were some of the challenges where the Department requested assistance from the administration, but if this assistance came only in the form of administration, the problem of protests would not be addressed adequately. She emphasized that assistance ought to be in terms of money, because that was the challenge for them at the moment. Mr Pakiso Mothupi, HOD: Department of Public Works, North West, addressed human resource and supply chain challenges that the Department was facing. He spoke of the need to set up committees to deal with corruption in the Department. It was critical for the Department to have a road network strategy and large amounts of funds were needed, but what had been made available for this purpose was too little. Many government building were deteriorating because there was no money to renovate and maintain them. He also said that the Department supported the Section 100 (1) (a) and (b) interventions. The Department had an integrated shared resources framework to ensure that all agencies brought their resources together so that they could plan, implement and manage projects. There were complaints that projects were often left uncompleted, owing to poor coordination between agencies. He emphasised further that the most critical thing for the Department was roads. There had been a lot of achievements in this regard, including repairing bridges and maintaining existing roads. The Department was unable to build new roads because it lacked the funds to do so -- all that could be done was to maintain the existing roads. This went a long way in preventing/restricting the development of the economy. In order to address this challenge, more funds had to be allocated by the national government to the Department. The EPWP programme was unable to be properly implemented because of the lack of funds and also the fact that it was not perceived as a national agenda, and therefore not seen as a priority. The programme helped to develop skills among government personnel. He insisted that the Department must work with the municipalities, since it was the municipalities that were directly working with the general public. The irregular expenditure in the Department was now decreasing because a system had been put in place to ensure that all contracts and projects had been verified. Dr Mpho Motlhabane, MEC: Community Safety and Transport Management, North West, clarified that transport management was exclusive of roads and infrastructure, which fell under the mandate of a separate department. The Department welcomed the interventions and had already held discussions with the National Department of Transport and the National Department of Police on the implications of the decision. A memorandum of agreement (MOA) had also been signed in this regard. He said the Department was under-funded in respect of commuter transport. This had been acknowledged by the National Department of Transport, hence the accruals. There was a continual demand for learners to be transported to schools, so the supply of transport facilities did not meet the demand. This had led to the increase in irregular expenditure. The issue of irregular expenditure had been there for a number of years, and the Department had established systems to deal with it. The support of national departments was welcome in terms of the interventions. Ms Botlhale Mofokeng, HOD: Community Safety and Transport Management, quickly went over the organisational structure of the Department -- the departmental personnel, the governance structure, budget processes and procurement, assessment of service delivery, community participation, transport regulations, etc. The challenges of the Department included the functionality and sustainability of community safety fora, capacity building, and budget pressures for transport services. She described a few of the measures that the department was taking to tackle these challenges. Ms Kutlwano Phatudi, CFO: Community Safety and Transport Management, said the allocated budget had been R2.1 billion. The funds were to be used for construction that was under way of an aviation school, the procurement of fire trucks for the airport, law enforcement equipment, and conditional grants (of two kinds). She also addressed the issues of irregular expenditure, which were being audited. A committee had been established to investigate the causes of these irregular expenditures and to implement consequence management. Ms Galaletsang Gaolaolwe, MEC: Local Government and Human Settlements Department, was invited to make the final presentation. She said that the Department’s role was to monitor and support municipalities. They welcomed the interventions because they were aware that there were challenges in the municipalities within the province. The key challenges were non-implementation of the forensic investigations and of the previous interventions at the municipalities. The Department issued directives, the implementation of which lay with the municipalities. The municipalities were currently taking steps to implement council resolutions. The interventions that the department and municipalities had agreed upon would focus on service delivery and financial management. She highlighted that there was a problem of incapacity in the Department because of an insufficient number of officials. Mr Phihadu Motoko, HOD: Local Government and Human Settlements Department, said that they had identified 12 municipalities that were in distress, eight of which could be termed as “repeat offenders” as per Section 129 -- some of them more than once. Therefore a sustainable plan needed to be formulated to turn around these municipalities, especially in respect to financial management and support. They needed constant support and monitoring because of their weak internal capacity. He highlighted issues of infrastructure development in municipalities, which as a result of incapacity and mismanagement of resources, remained in a poor state. There was also a case of misplaced priorities, where funds were being used for purposes that were not needed by the people. Lastly, he spoke about the programmes/interventions that the Department was undertaking to assist the municipalities in dealing with the various challenges. Mr Nyambi thanked the previous three presenters for spot-on presentations and making the presentations very clear for the Members. They had dealt with the issues very well and to the point. Mr Chetty asked the Department of Public Works to explain in writing how they had used the excess money that had been discovered in the latest financial audit. He also asked what the Local Government and Human Settlements Department was doing about the fact that 12 municipalities were in distress. Ms Dlamini asked how many transport routes were planned to be created, since it was said that there was a high demand. She also asked whether there were any plans to build a boarding school -- although it was expensive, it was a good investment because it would reduce costs. Mr Monakedi asked the local government department to explain the number of vacancies in the department and why these vacancies had not been filled. Mr Motoko had also said that some municipalities under distress were “repeat offenders”, so he wanted to know why the Department allowed the municipalities to repeat these offences, and why there were no consequences. Such departments should be placed under administration to make them an example for other municipalities to do what was right. Mr Motlashuping commended the presenters for giving a proper picture of the situation in the North West, particularly the last three presentations, which had welcomed the interventions. The Chairperson remarked that the Department of Local Government having four HODs within a short period of time was not the way to go, because it disrupted the stability of the Department and decision making. Ms Maluleke referred the members to page 74 of their presentation on the issue of irregular expenditure, and said that if the information therein was not complete, they would draft a report as requested. Dr Motlhabane said that there were plans in place for learners to go to schools without disruption. He also said that the Department had not done well because it had been forced to rely on other departments for resources and other facilities. The Chairperson concluded by thanking everyone present for attending the meeting and asked the Premier to make the closing remarks on behalf of the province.